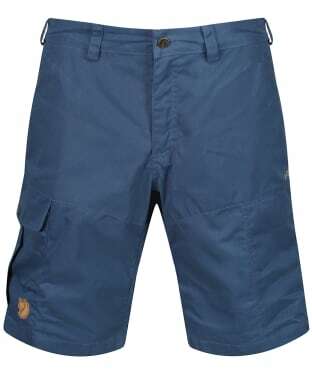 Perfect for those outdoor activities during the warmer weather, the Men's Fjallraven Karl Pro Shorts have been designed with style and practicality in mind to offer a pair of shorts that are versatile whether you are relaxing or heading into the country for a walk. Crafted with the utmost durability in mind, these Fjallraven shorts have been made from G-1000® Silent Eco in recycled polyester and organic cotton for a hard wearing yet comfortable feel that you are sure to love. For added convenience, the Karl shorts have a technical fit and lots of pockets to the legs, including an inside mobile phone pocket to keep your essentials close to hand. 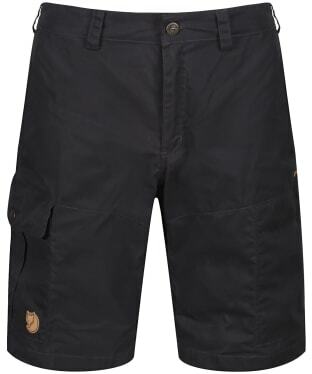 These well-fitting shorts are finished with Fjallraven branding for a high quality, premium feel.